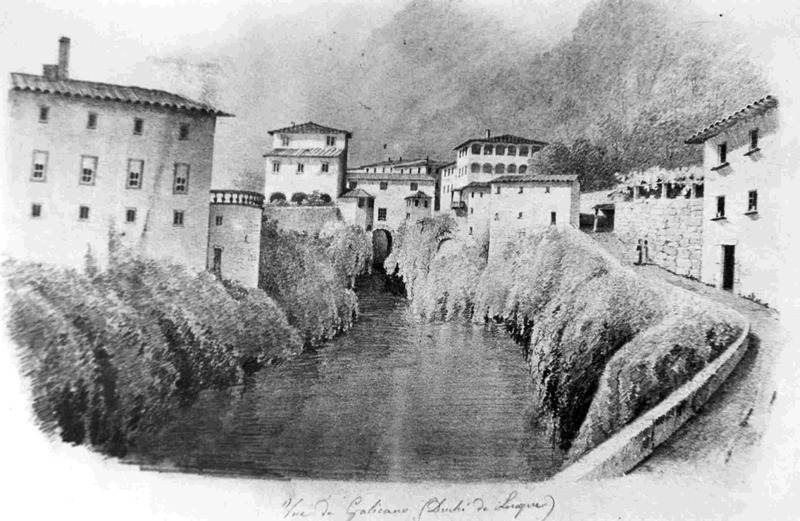 Gallicano is situtaed on the road between Lucca and Castelnuovo Garfagnana. It covers an area of 30.5 square kilometres and is found at a height of 186 metres at the top of a hill which dominates the River Serchio. The town has retaind the characteristics of a mediaeval borgo. Some remians of the walled belt which surrounded the town can still be seen today. This was originally built during the mediaeval period with another more recent wall being built in the Renaissance period. Within the walls of the Borgo you will arrive at the Parish Church of San Jacopo. This is the oldest building in the Borgo and was constructed at its summit. The Church was built in the mediaeval period and given a Roman facade. 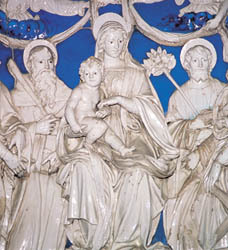 Within the Church there is a glazed terracotta depicting a Madonna with Child and Saints which has come form the Della Robbia studio. Amongst the illustrious people of Gallicano origin are the orator Domenico Bertini (1417-1506). Amongst the different exhibitions which arte enjoyed by both locals and tourists alike, particularly in the summer season, is the traditional Palio di San Jacopo which takes place on the 25th July in honour of the patron saint of the town. The main part of this is a religious procession but there is also another stage which sees the locals building allegorical floats of papier mache. Much of the area around Gallicano is well worth a visit. To begin with there is the villages of Verni and Trassilico with its Rocca (fortress) which is situated at a height of 732 metres above sea level and occupies the dominant position in the media valle. The Rocca in in fact the highest point of this small village centre. The village of Perpoli, like Gallicano, had a double walled belt. The oldest is now reduced to a wall of just a few metres but the second was of more recent Renaissance origin and possessed a stone access gate. Perpoli is also situated at the top of a hill and is reached by abandoning the provincial road between Lucca and Castelnuovo near the Passo di Monteperpoli and taking the communale road to the gate of the village.